The Garden Seed Inventory represents your heritage as a vegetable gardener. The diversity and quality and number of garden varieties now being offered commercially is almost beyond belief. Gardeners in the United States and Canada are truly blessed. But it is quite possible that half of everything listed in this book could be extinct within the next few years! The major forces threatening this diversity include: plant patenting legislation; takeovers of seed companies by multinational corporations; plant breeding for machines instead of gardeners; the profit-motivated hybrid bias of most seed companies; and increasing bankruptcies of small businesses. These events and trends, which have brought such a massive amount of plant material to the very brink of destruction, must be examined in order to determine how to neutralize this threat. Plant patenting legislation was first passed in England in 1975. At that time England became a member of the International Union for the Protection of New Varieties of Plants (UPOV), which is a Geneva-based organization that promotes and coordinates plant patenting laws around the world. Proponents of the legislation argue that it is necessary to keep unscrupulous competitors from pirating newly developed varieties and offering them under other names. Opponents say it stifles the free flow of plant material between breeders, which is essential if dynamic breeding programs are to be maintained, and allows breeders to make slight genetic manipulations to plant material, which they did not originally develop, and then “lock up” that material for 18 years. Enforcement of the legislation quickly became a legal nightmare because it is almost impossible to prove in court that one plant is identical to another. But European lawmakers plunged ahead and phased in a system of “legal” and “illegal” vegetables designed to facilitate enforcement. They published a “Common Catalogue” listing all of the vegetables permissible to sell in Common Market countries and established stiff fines for anyone selling varieties not on the list. Dr. J.K.A. Bleasedale of England’s Wellesbourne Station described the Common Catalogue as a “self-inflicted wound” and confided that the Catalogue was inspired by commercial interests and was intended to clear the European market for the patented varieties. In July of 1980 the legislation took full effect and 2,126 vegetable varieties became illegal to sell in England and the other Common Market countries which belong to UPOV. Dr. Erna Bennett, formerly with the Crop Ecology and Genetic Resources branch of the United Nations’ Food and Agriculture Organization (FAO) in Rome, estimated that by 1991 fully three-quarters of all the vegetable varieties now grown in Europe will be extinct because of attempts to enforce plant patenting laws. The situation, as it continued to develop in England during those years, was reported in the quarterly newsletters of the Henry Doubleday Research Association (HDRA). Lawrence D. Hills, Director of the HDRA, spearheaded the forces in England that opposed plant patenting and has tried, valiantly, but unsuccessfully, to change the legislation. He was able to stir up enough national publicity that OXFAM made a grant of 300,000 Pounds Sterling to establish a Gene Bank at Wellesbourne. The Gene Bank, built as a government facility, was dedicated six years after the situation first became apparent. The dedication was a bittersweet event because much of the vegetable material, which Lawrence D. Hills and his colleagues had hoped to save, was already extinct. They are currently establishing Vegetable Sanctuaries in the kitchen gardens of several Stately Homes in England, where the varieties they have been able to salvage will be permanently maintained. They have also sponsored expeditions to collect peasant-varieties in various European countries which have recently joined UPOV, hoping to lessen the destruction. In January of 1979, amendments to strengthen and extend the Plant Variety Protection Act of 1970 were introduced on behalf of the American Seed Trade Association (ASTA) and its 600 member companies. These amendments sought to standardize U. S. patent coverage with Europeans laws so that the United States could join UPOV. The hearings for these amendments were unpublicized and the ASTA and the USDA expected no public awareness on the issue and no trouble running them through. They were wrong. Before the hearings even started and continuing through the entire next year, gardeners, who were members of several grass-roots organizations working with genetic preservation, generated more mail against the legislation than any agricultural issue in memory. Opponents used the various hearings on the amendments to try to educate legislators about the threats facing genetic diversity and to expose the bills as destructive, European-inspired, special-interest legislation. But the final battle was lost due to unbelievable political acrobatics on one of the last frantic days of the Carter Administration. The amendments were passed into law on a voice vote during a lame duck session of the United States Senate. The furor over the legislation died down all too quickly when there was no immediate move to install a system of legal and illegal varieties as had happened in Europe. At that point opponents of the legislation hoped that the newly created public awareness about genetic vulnerability would at least result in increased support for the National Seed Storage Laboratory (NSSL) and for various collection programs. Unfortunately, that has not been the case. To say that germ plasm research and preservation programs in the U. S. have been given low priority would be a gross understatement. The NSSL did not receive a budget increase during its first 15 years of existence. The USDA has not had even one full-time plant explorer since 1970. The U. S. government only allocates a pathetic $40,000 per year to collect the rapidly vanishing genetic resources on which the future of U. S. agriculture will depend. And all this at a time when scientists around the world are voicing increased alarm as they watch the wholesale destruction of the centers of diversity for the world’s food crops, caused by the introduction of the Green Revolution’s hybrids and the newly patented varieties which are being marketed in Third World countries. The U. S. government is making a catastrophic mistake by not immediately initiating a crash program for patent collection world-wide. Plant patenting legislation has definitely made seed companies attractive investments for multinational corporations. During the first week after patenting legislation was passed in England, one company, RHM, bought out 84 seed companies. When RHM’s buying spree was finally complete, over 100 seed companies had merged. Shell Oil of Great Britain has bought out 74 seed companies since the passage of the legislation in England. Royal Dutch Shell became the world’s largest seed and agrichemical company, almost overnight. Seed company takeovers in the United States have also reached epidemic proportions: Atlantic Richfield (ARCO) took over Desert Seed Co.; Celanese bought out Joseph Harris Co.; Ciba-Geigy (of Switzerland) purchased Funk’s Seed; ITT now owns the W. Atlee Burpee Co.; Amfac took over Gurney’s Seed & Nursery and Henry Field Seed & Nursery; Sandoz (of Switzerland) purchased Northrup King Co.; Upjohn bought out Asgrow Seed Co.; and Monsanto purchased DeKalb Hybrid Wheat. And these are just a few of the more than 60 recent North American seed company takeovers. Multinational agrichemical conglomerates view seeds as a logical lateral extension of their financial interests. They are already manufacturing pesticides, fungicides and chemical fertilizers. With their newly purchased seed companies, they are now able to give commercial growers a package deal — seeds which will grow well with their chemicals. Some agrichemical firms have even started selling pelleted seeds, which wraps each individual seed in a small capsule of pesticides and fertilizers. Such tactics point out an obvious conflict of interests which occurs when major agrichemical corporations are allowed to buy out seed companies. In the past, excellent breeding programs have produced food crops which are resistant to a multitude of diseases and even to pests. But it is doubtful that such corporations, whose very existence depends on selling pesticides and chemical fertilizers, will spend any time or money to develop disease- or pest-resistant crops. And yet plant patenting legislation is allowing these same corporations to lock up valuable breeding materials for 18 years. Agrichemical and pharmaceutical corporations should be prohibited by law from owning seed companies. The tremendous consolidation now going on within the U. S. seed industry also threatens to destroy most of the plant material available to gardeners. When a large corporation buys out a small, regional, family-owned seed company, it invariable drops the former owner’s collection of standard varieties and replaces them with the more profitable hybrids and patented seeds. The new corporate owners are only concerned with profits and usually switch immediately to generalized varieties which will grow reasonably well anywhere in the country, thus assuring the greatest sales in the company’s new nation-wide market. No thought is given to preservation or the fact that the collection of seeds being dropped is probably the reason that company was successful in the first place. Often these regionally-adapted collections represent the life’s work of several generations of seedsmen within these families. Plants in these collections often are extremely well adapted to local weather, diseases and pests. We cannot allow this irreplaceable genetic wealth to be destroyed just for the short-term profits of a corporation which may not even own that company next year. Such losses might be viewed with less alarm, if the varieties being dropped had been superseded by superior ones as was often the case during the first half of this century. But the garden seeds currently being dropped from the catalogs are the best home garden varieties we will ever see. Almost all of the vegetable breeding being done today is for commercial application and such varieties seldom suit the needs of the home gardener. Most commercial breeding strives for an extremely concentrated harvest period, so that machines can do the picking all at one time. Fruits must have tough skins and solid flesh to withstand mechanical harvesting and then endure cross-country shipping. Varieties are bred for eye-appeal, so they will look good and sell good in grocery stores and in seed catalogs. Some are specifically developed to be stored for extended periods in refrigerated, controlled environments. And most are bred to produce well under optimum weather conditions and with inputs of chemical fertilizers and pesticides. As long as our food crops are being bred for machines and large commercial growers, the varieties being introduced will continue to stray ever farther from the needs of the home gardener. Gardeners are most concerned with flavor. If that fantastic flavor is there, appearance means nothing. Fresh garden produce is only “shipped” from the backyard to the kitchen table, so skin and flesh can be as tender as possible. Gardeners want varieties that can be harvested all season long, so they can enjoy fresh produce right up until frost. Many of the older varieties have remained popular, because their long keeping ability in fruit cellars allows gardeners to enjoy the fruits of their labor until the next spring. Gardeners need locally-adapted varieties which will grow well in their unique and increasingly changeable weather and withstand local diseases and pests. Home garden varieties such as these are the ones which are currently being dropped from the seed catalogs. Far from being obsolete or inferior, these varieties are the cream of our vegetable crops. Each is the result of millions of years of natural selection, thousands of years of human selection, and usually almost a decade of intensive and costly plant breeding and testing. Only the very best make it to the catalogs and each is unique and irreplaceable. But they are being allowed to die out due to the economics of the situation with no systematic effort being made by government agencies or lay organizations to store and maintain them. The survival of these home garden varieties represents the vegetable gardener’s right to determine the quality of the food which that family consumes. If home gardeners allow their vegetable heritage to die out, they will be locking themselves forever into a position of dependence on the seed companies and the varieties that their owners choose to offer. 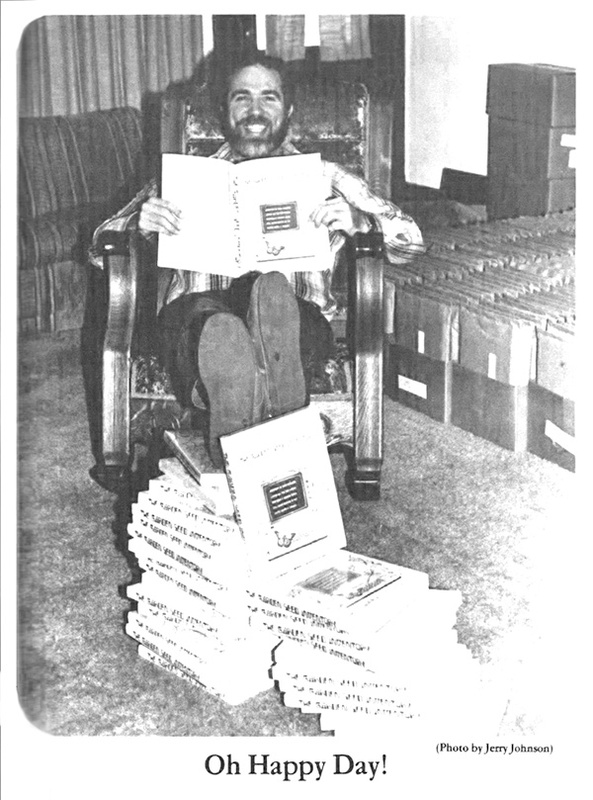 In the spring of 1981, the decision was made to attempt an inventory of the entire U. S./Canadian seed industry. Mail-order vegetable seed catalogs, no matter how small or obscure, were gathered from throughout the United States and Canada. Computer equipment was purchased and the work began late that summer. Early estimates mistakenly concluded that the Inventory would be completed in one year and would include 120 seed companies and 3,000 non-hybrid varieties. The Garden Seed Inventory has taken over three years to finally complete and includes 239 companies and nearly 6,000 non-hybrid varieties. This gigantic project involved an exhaustive and nearly incomprehensible amount of work. But it had to reach completion, because the stakes are high. This preservation tool is capable of turning the present situation around. Revenues generated by this book are being used to buy up these endangered garden seeds and to develop networks of amateur growers who will permanently maintain them. The Garden Seed Inventory’s greatest value is that it shows which varieties are in the most danger before they are dropped. Many gardeners would gladly buy up a supply of seed, if they knew it was about to be dropped. But usually they have no warning that a favorite variety is in danger until it simply doesn’t show up in a particular catalog one year and they are unable to find another source for it. This Inventory shows all of the alternative sources that are still available. Gardeners can now search through all of the varieties being offered to locate ones which are perfect for their local climate, diseases and pests. Gardeners in northern and high-altitude regions can use the Inventory to locate hardy and short season varieties. Concerned individuals in other countries can use it as a model for similar inventories. Preservationists around the world can use it to buy up endangered commercial varieties, while sources still exist, and then permanently maintain them. And, because the Inventory focuses attention on the seeds that are the least available, many small, almost unknown seed companies will be rewarded and strengthened because they are offering unique or regionally-adapted varieties. For the first time it is possible to accurately assess which varieties are being dropped and how quickly. The Garden Seed Inventory became increasingly more fascinating and more frightening as it grew towards completion. Fascinating because, when viewing the entire garden seed industry in detail, the amount of plant material available is incredible! Frightening because, it is now apparent that over 48% of all non-hybrid garden seeds are available from only one source out of 239 companies! This study shows that: 2,792 varieties (48.3% of the total) are available from only one source; another 642 varieties (11.1%) are available from two sources; so a total of 3,434 varieties (59.4%) are available from only one or two sources. These losses do not truly reflect the overall decrease in availability. Many of the varieties, which are now available from one or two sources, were available from three to six (or more) sources when this study began. And most of those companies have dropped the varieties in 1984. In other words, it appears that the sources of supply for these seeds have already disappeared. Although many of these varieties have not yet been dropped completely. They will be as soon as those few companies sell out their remaining supplies of the seeds. An almost unbelievable amount of loss is possible within the next few years. Hopefully an immediate and systematic effort can still rescue most of these endangered seeds. But there is no guarantee that any variety offered by a small number of sources will still be available in next season’s seed catalogs. There has been only one other complete U. S. inventory of commercially available food plants. In 1903 the USDA published American Varieties of Vegetables for the years 1901 and 1902 by W. W. Tracy, Jr. It included variety names and sources, but no descriptions. This earlier inventory has been studied in depth and then compared to printouts of what is being kept in the National Seed Storage Laboratory. Only three percent of everything available commercially in 1901 and 1902 survives today in that government collection! It is depressing to see the huge lists of garden varieties available at the turn of the century and realize that almost all of them have been lost forever. Imagine everything that would still be alive today if the 1902/1902 USDA Inventory had been updated annually and if endangered varieties had been systematically procured and maintained. But even though disastrous mistakes have been made in the past, there is no excuse for losing anything from now on. At this point we are just picking up the remaining pieces, but we must at least do that and do it quickly. Time is running out and we will never be given this chance again. It is ironic that we presently have access to such a vast array of the best garden varieties ever developed, and yet so much of this invaluable and irreplaceable resource is in immediate danger of being lost forever. We are truly at a crossroads. It is still not too late to rescue from extinction what remains of our vanishing vegetable heritage. Just try to imagine what it would cost, in terms of time and energy and money, to develop this many excellent varieties. But they are already here. All we have to do is save them. We are the stewards of this sacred genetic wealth and we better start acting like it. If we don’t, generations yet unborn will curse our stupidity and deplore the fact that we valued power and money more than we valued their survival. More documents will be added as they become available.